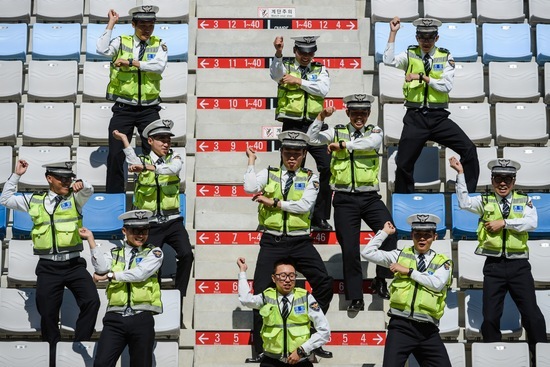 South Korean policemen dance to “Gangnam Style” in the stands of Formula One’s Korean Grand Prix in Yeongam on Thursday. Korean pop star Psy, whose hit song has basically taken over the world, will wave the checkered flag in Sunday’s race. Photo by Philippe Lopez/AFP/Getty Images.